Brave and Happy: The happiest place on earth! 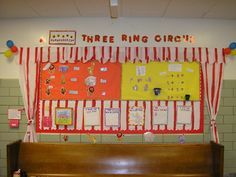 I love it when people describe school as a circus! Calling something a circus is usually meant to be an insult. When someone says something like, "My classroom was a circus today!" it usually means that things were a bit crazy in there. But really, maybe they were not that crazy. Maybe it was loud and maybe there was more movement than usual. Maybe there was some true excitement about the learning! Or, maybe the extra movement and noise was the students' reaction to another worksheet. Either way, I like to respond with, "Awesome! The circus is a fun and happy place with tons of well-choreographed action that engages everyone!" it is the well-designed, engaging lessons that keep the energy and happiness alive!